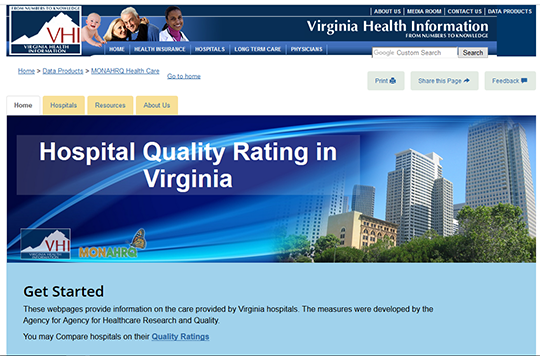 VHI Hospital Quality Ratings provide information on the care provided by Virginia hospitals. The measures were developed by the Agency for Agency for Healthcare Research and Quality. Comparison of hospital performance based on their quality ratings – quality ratings are based on data from hospitals about how well they provide care and patient survey results about their experience in the hospital.